After last year’s terrific debut of the European Poker Tour in Deauville, France it was a foregone conclusion that the EPT would be returning to the French coastline city for a second year, and despite competing with the Aussie Millions Main Event and two tournaments stateside, the WPT and WSOP Circuit, the EPT Deauville attracted a huge contingent of poker players on Day 1a; with 419 players registering for the initial starting day of the tournament. 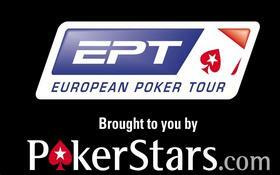 The majority of the entrants on Day 1a were European players, and I’d expect Day 1b to see a host of American players fly in from either the Aussie Millions or from the US tournaments to enter the EPT tournament. Last year the EPT Deauville tournament was the coming out for UK poker pro Jake Cody who took home the €847,000 in prize-money awarded to the winner. Other final table members last year included two poker pros who have retired; Mike “Timex” McDonald, and 2008 WSOP Champion Peter Eastgate. This entry was posted on Wednesday, January 26th, 2011 at 1:12 pm and is filed under Poker News. You can follow any responses to this entry through the RSS 2.0 feed. You can leave a response, or trackback from your own site.